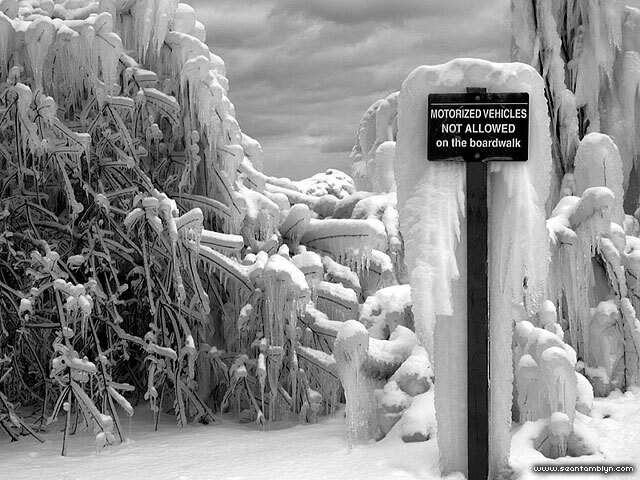 Signs and trees lie entombed in ice at the end of the boardwalk after a wicked winter storm in 2004. This entry was posted on Monday, July 11th, 2011 at 8:51 pm. It is filed under A Perfect Season, Featured, Ice, Landscapes, Once There Was Winter Part II, Phenomenon and tagged with Nikon Coolpix 4500. You can follow any responses to this entry through the RSS 2.0 feed.